My name is Candace Taylor and I have been an artist all my life in one form or another. I was a lead singer, song writer and keyboard artist for several bands as well as a 30 year career styling hair….but then, in 2004 I found polymer clay! It completely took over my life. It is more addicting than any drug could possibly be. An artist friend of mine once said that a true artist must create and to create is as essential as breathing. I could not have said it any better! All of my sculptures are original, OOAK Art Dolls, hand sculpted figures never using any molds of any kind sold exclusively on EBay. Each has labor intensive handmade eyes inserted early on in the sculpting process. Yearling Mohair, Tibetan lamb and Viscose are used for their wigging. Each of my sculptures are named for their theme. 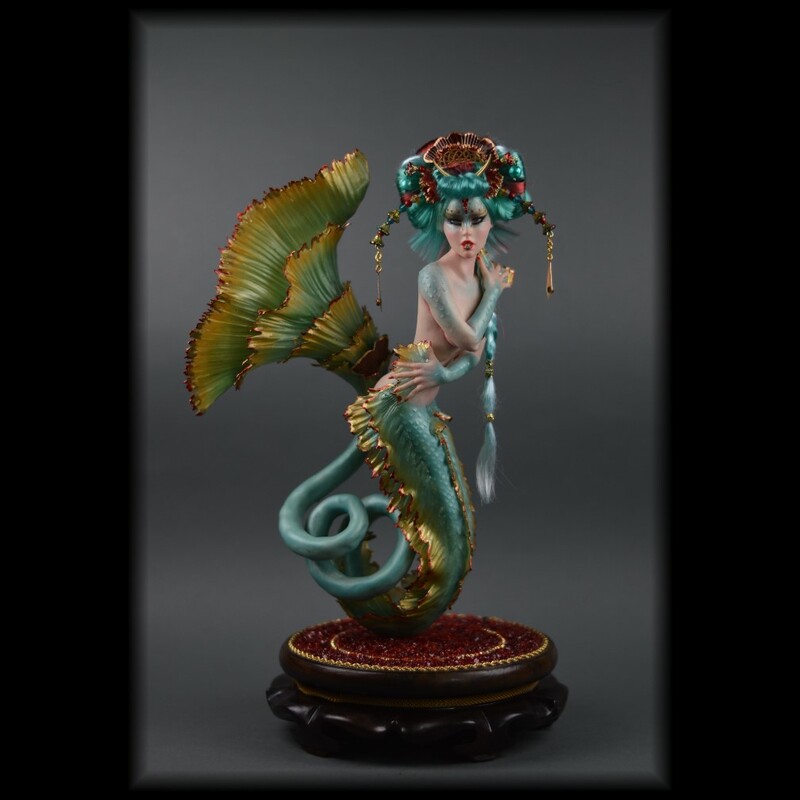 My sculptures range from 7-12 inches high if standing with intricate fine details on all sides as well as hidden areas and when applicable they are anatomically correct. My sculptures have been adopted from around the glove.